Mandarin or Cantonese? Just what do I study? If you’ve made a decision to learn Chinese, the next big question is whether to learn Cantonese or Mandarin Chinese. You might be wondering which one of those two will help you most in the future in terms of career prospects. Or which one might be easier to learn. Or did you even realize that there was a difference between them? 1. Facts you should know about the languages before making the decision! China’s population was estimated by Worldometers at close to 1.4 billion people in 2014, making it home to just over 19% of the world’s population and there are some 56 languages spoken by China’s recognised ethnic groups, according to Wikipedia. However, whilst Hanyu, or Han, is the predominant language and spans eight primary dialect groups, accents and variations in regional dialects differ from each other to such a degree that sometimes even the same language becomes mutually unintelligible. In the past, people were more likely to use their own regional dialects to communicate, and this became a challenge as people from northern areas such as Harbin could not understand people from southern areas such as Guangzhou. To overcome this and other related issues, the Chinese government’s policy has long been to teach the younger generations “standard Mandarin Chinese”, and these days the vast majority of people can usually speak both Mandarin and their own regional dialect fluently. 2. Where are Cantonese and Mandarin spoken in China? 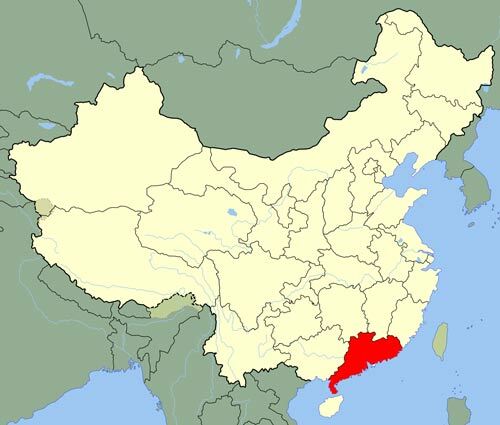 It is estimated that somewhere between 50-60 million people in the Guangzhou provincial areas, plus Hong Kong and Macau, speak Cantonese (not to mention those in overseas Chinese communities in SE Asia). It’s also the dominant Chinese dialect throughout most overseas Chinese communities in places such as the US, Canada and in European countries. And the rest of the country? Did you guess right? That’s it: Mandarin Chinese. Not surprisingly, even though most people speak Mandarin, the words and phrase usage can be influenced by local accents or dialects. Still, you will find that Mandarin spoken in Beijing is not quite the same as in Shanghai—or even Taipei in Taiwan. For example, in Taiwan, “Subway” is: 捷运（jié yùn）, while in mainland China it’s: 地铁（dì tiě）. This is similar to using “Underground” in British English or “Subway” in American English. However, most native Chinese speakers can understand such differences based on context. Plus, the internet definitely helps. 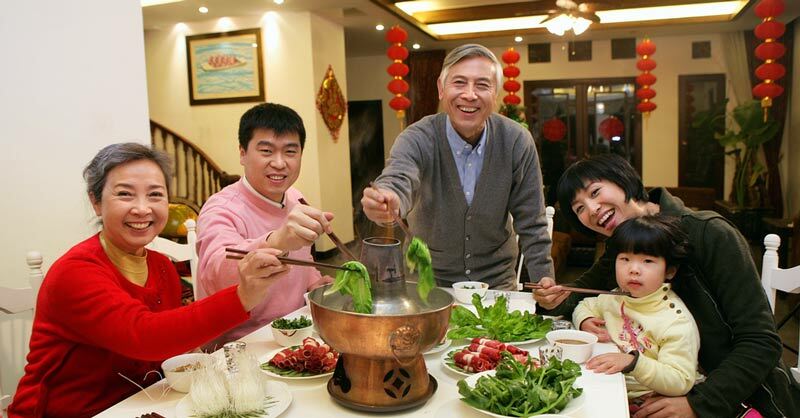 For example, people from the Mainland enjoy watching TV programs from Taiwan, and they are already getting used to Taiwanese accents and speech patterns, and the opposite also holds true. 3. Cantonese (and other dialects) vs Mandarin: what’s the real situation in China? Although each region has its own dialects, Mandarin is widely spoken throughout Mainland China and Taiwan, especially by the younger generations and also for governmental affairs. While it’s easy to find various data on the internet about which part of China speaks which dialect(s), most such data is generic and somewhat outdated. As China’s economy continues to grow, people are always moving throughout the country (e.g. from the countryside to first or second tier cities) due to a variety of reasons, including business, family, house prices, etc. From our observations, “standardized” Mandarin has become dominant throughout China. To give a concrete example, let’s say you work in Shanghai. No matter whether you are holding a business meeting or just walking into a 7-11 convenience store, people will generally expect you to communicate in Mandarin instead of in the local Shanghainese dialect. Given that people are always moving around the country for business or leisure, a standardized language base is, clearly, far more effective. On the other hand, dialects are still used among family members or close friends/colleagues from the same areas. Listening to people speaking Mandarin and Cantonese can seem as if the languages are totally different—yet they do have many similarities, especially in grammar and characters. Characters: the characters are the same except for the second character in the above two sentences. Usually, most Chinese characters can be both read by Cantonese and Mandarin speakers although, on occasions, the meaning may be different. Grammar: the grammar has many similarities and the order of words is also generally the same, but not exactly, for certain expressions. 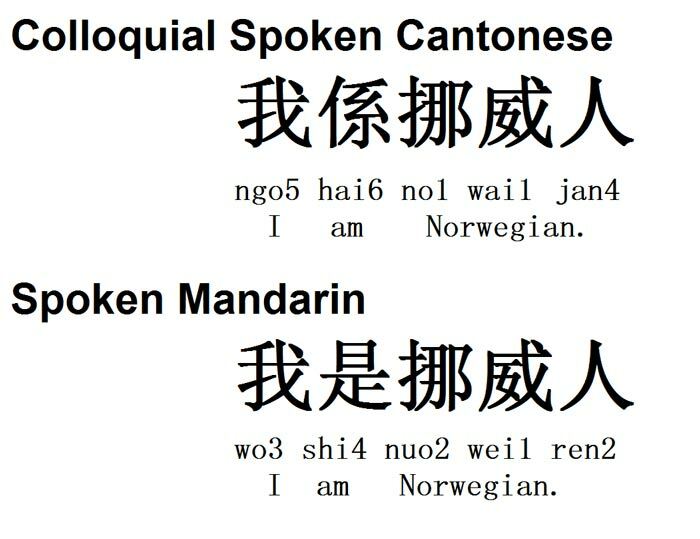 The word order for “I am Norwegian” in Cantonese and Mandarin is the same. Speaking: the speaker of one does not, usually, understand the other as the sounds of Cantonese and Mandarin are totally different. For examples, Cantonese has more tones (7) than Mandarin (4). 5. 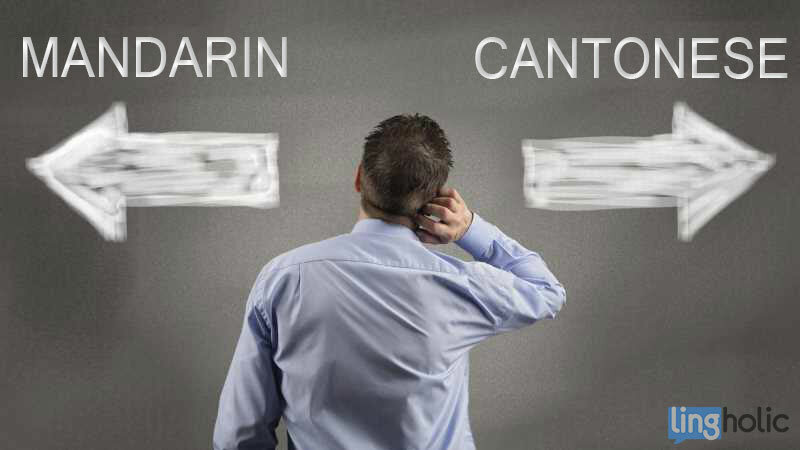 Coming back to the question: should I learn Cantonese or Mandarin? The Cantonese language/dialect is renowned as being difficult for foreigners to learn. If you enjoy Cantonese songs or movies, learning Cantonese can help you understand what’s going on, especially given that such things are popular in China and overseas Chinese communities. I can be relatively difficult to find good Cantonese learning resources, although tools are certainly available, some of which we recommend further below. With the current economic growth of China, it’s likely that Mandarin will be a key language of the future. For someone whose English is not their native tongue, it might be better to, firstly, improve their English as more and more Chinese students and business people across the country are learning English. To summarize: some people like the sounds or music or culture of a new language or simply love the challenge of learning how to speak Chinese for their personal benefit. Whether you plan to learn Mandarin of Cantonese, it’s important to determine what your objectives are before you begin. Pleco: this resource was the number 1 ranking resource in our survey, and is an integrated Chinese/English dictionary/document reader/flashcard system with full screen handwriting input and live camera-based character look-ups. Skritter is an amazing program suitable for Smartphones or PC’s to help with learning to write Chinese characters. It offers tone practice, stroke-level feedback and audio playback etc. It also even suggests corrections for any mistakes if you make them. Italki: a great platform to help you to find native speakers to practice languages with. For more Chinese learning resources, you can take a look at: How to learn Chinese where you can find many free resources as recommended by more than 60 Chinese learners. Your choice should be primarily on your purpose and motivations to learn Chinese. It’s important to remember to enjoy the pleasure a language will bring you while you are learning it as, obviously, this will make learning that much easier! This article was brought to you by Learn Mandarin Now, a widely read blog with tips and ideas to help you on your journey to learn Mandarin, including the popular “How to Learn Chinese: 50 bloggers tell you how“. One small correction: 挪 is pronounced no4 in Cantonese. Otherwise pretty conclusive article! Cantonese is dying. Take a look of the language switching in Chinatowns. & many Cantonese speakers do speak Mandarin, especially young generations. 1) It’s what everyone around me was speaking and I’d have learned it more quickly and had a lot more support along the way from locals. 2) I would almost certainly have ended up fluent in Mandarin too by now, just due to how much media it’s used in, how many study materials there are and how many Taiwanese speakers also speak Mandarin. Learning Taiwanese after learning Mandarin fluently is tough in a lot of cases though since it’s just so easy to use Mandarin as a crutch. English speakers have this problem learning any language. You’re making a very good point Mark. I think if I had been in your situation 10 years ago, I would’ve also leaned toward learning Hokkien/Minnanhua. If I were to live in Hong Kong, I would similarly lean toward learning the local language (i.e. Cantonese), since you get more support from the locals and people will be much more impressed by your efforts to learn the local language and of course, it’s a great way to form bonds with the people and ease the transition to life in a foreign country/region.